This service is available for members of the communal restaurant who need to travel there on Thursdays, as well as for people who have difficulty walking and who wish to go to the market on Fridays. 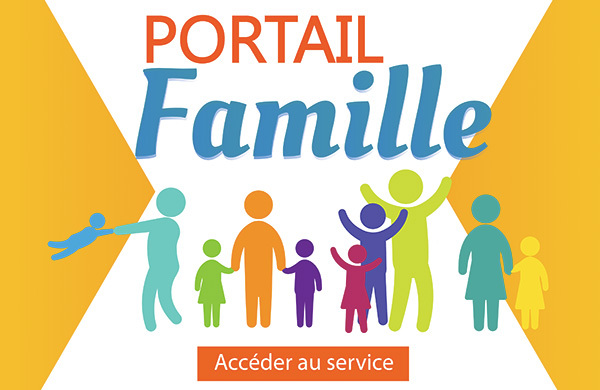 To sign up for this service you must take your ID card to the Town Hall. The driver will then contact you to agree on a pick-up time. 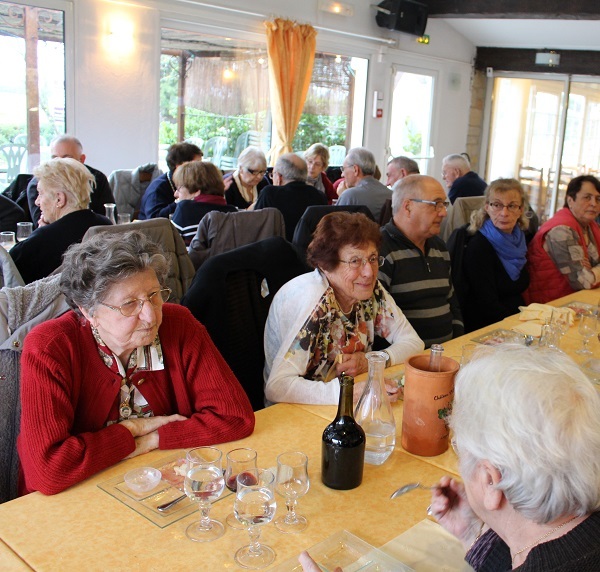 Located behind the reception hall, Le Foyer des Écureuils is a place to meet and share experiences, reserved for the retired inhabitants of Mallemort aged 55 and over. You can enjoy the friendly atmosphere and the numerous activities on offer, or spend some quiet time in the library on the first floor. To avail of this service, you must join the membership list and register directly with Le Foyer. Le Foyer also runs a restaurant serving meals to its members. Birthdays are celebrated on the last Thursday afternoon of the month, except in July and August when they are postponed until September. On the last Wednesday of every month the Dany Hall cinema screens a film at the special rate of €4 (programme starts at 2pm) – not operational during July and August. Anyone is entitled to attend. You can play Bingo on Thursday afternoons except for the last Thursday of each month. In the first week of October every year, the Council organises the Semaine Bleue (blue week). Over the 7-day period senior citizens can enjoy free entertainment and activities. Le Foyer opens every day at 11:00am. entertainment at Entraide Solidarité 13 (ES13). ES13 is part of the Arles sector and organises outings (one per month), tea & coffee afternoons on Tuesdays and Thursdays, offers Christmas hampers and organises bingo games on Thursday (except the third of every month, because of birthday celebration). It also organises trips to France and other foreign countries, all listed in the catalogue. Members can also register for workshops held at various centres in the Bouches-du-Rhône. Articles made during the sewing, knitting and crochet workshops are sold at the end of the year and the proceeds donated to the Téléthon. Every Tuesday afternoon a game of Belote is organised to encourage members to mix with others from neighbouring towns. This idea of a Grandmother’s Day party was initiated by the Town Hall and this initial celebration took place on Sunday 6th March 2016, bringing together some 200 people in the reception hall for a Tea & Dance party. All grandmothers from Mallemort or elsewhere were invited. 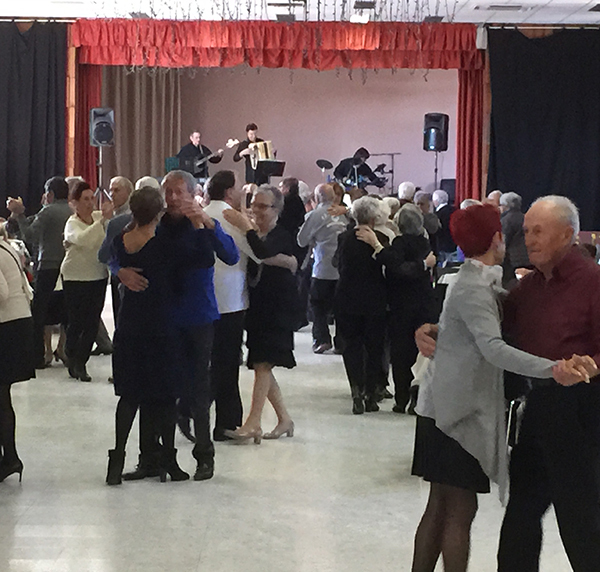 Our senior citizens really enjoyed the dance with live music by the Trio Valentin making the afternoon a huge success. It was also an opportunity for our fellow citizens to get together for a chat over tea and cakes. Every year, the Town Hall organised the national senior citizens week which turned out to be a great success. With a growing number of participants, this week offered to our senior citizens the chance to get together around a number of different activities: film screenings; storytelling at the multimedia library; also memory, computer or arts & crafts workshops, an enjoyable and very appealing programme devised by Emmanuelle Azard and other helpers. Don't miss the next session in October! During the Tasting week, some regions of France were showcased with great success: Brittany; the North, Auvergne, South-West and Alsace. Older citizens were able to revive the taste and olfactory memories of their childhood. This initiative aroused keen interest in our older fellow citizens. In fact, the number of guests was much higher than in a normal week, even reaching the centre’s maximum capacity of 100 covers on Thursday lunch time. And to ensure the diversity of the chosen theme stood out special attention was paid to the dining hall decorations. Thanks to the hard work of the Mallemort Tourist Office and members of Le Foyer itself, regional posters and personal objects from the same theme were used to decorate the hall walls and tables. A special moment of shared experience just waiting to be repeated!